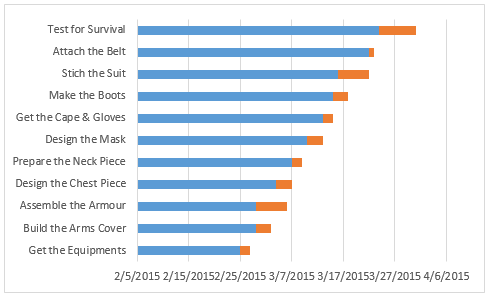 Last week I wrote an article on how to create a Dynamic Pareto Chart in Excel. 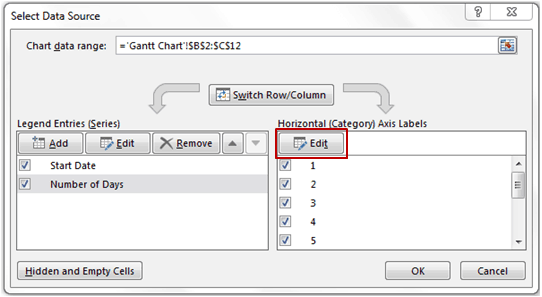 With the charting fever still riding high, today I will show you how to create a Gantt Chart in Excel. Gantt Chart is a simple yet powerful project management tool that can be used for creating a schedule or tracking the progress. Go to Insert –> Charts –> Bar Chart –> Stacked Bar. This will insert a blank chart in the worksheet. Select the Chart and go to Design tab. In the Design Tab, Go to Data Group and click on Select Data. 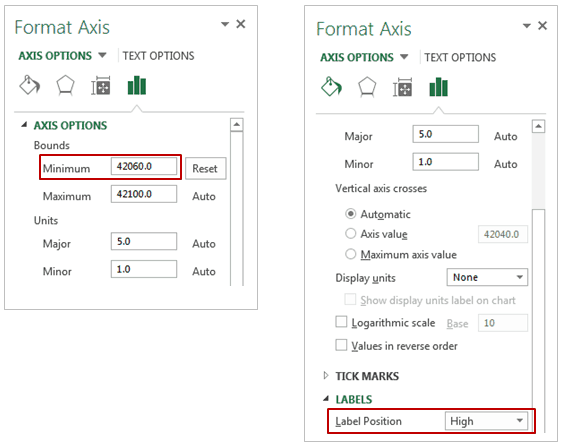 In the Select Data Source dialogue box, in the right half of the pane titled Horizontal (Category) Axis Labels, click on Edit. 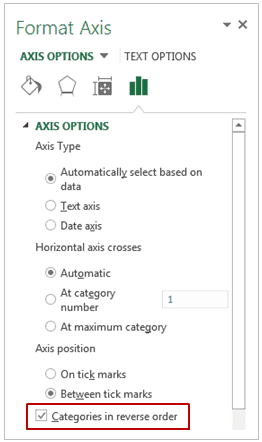 In the Axis Labels dialogue box, select the range that has all the activities names. Now your chart would look something as shown below. 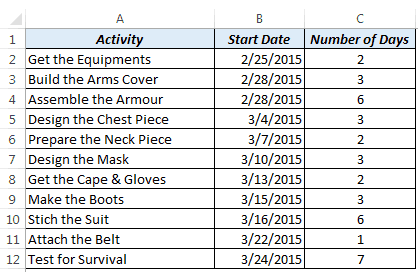 You would notice that the activities are in the reverse order (for example, Test for Survival is the first one). Now your Gantt Chart is almost ready. Just select the blue bars and remove the color fill and border color. Change the Title, do some formatting to make it look awesome (and it makes you look awesome). I would love to learn from you. Let me know how you use Gantt Chart and/or other project management tools. Leave your footprints in the comments section below! Dynamic Pareto Chart – The 80/20 phenomenon. Actual Vs Target Charts in Excel. Thanks Sumit for this fantastic idea. I have other question. I’m trying to make a combination with two graphics. One is similar to this, and the other is one update with real start date and percentage (I have transformed to days). But the only way I have found is to make the second transparent and move exactly over the first one. Can I make in other way? THANKS! Thank you for posting this training, will you be posting more about grant charts? Thanks for commenting Dan.. 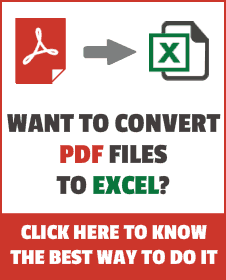 I plan to post more tutorials on Project Management using Excel. I am also working on a Gantt Chart style template and will post it soon.. Stay Tuned! Thanks for posting this! 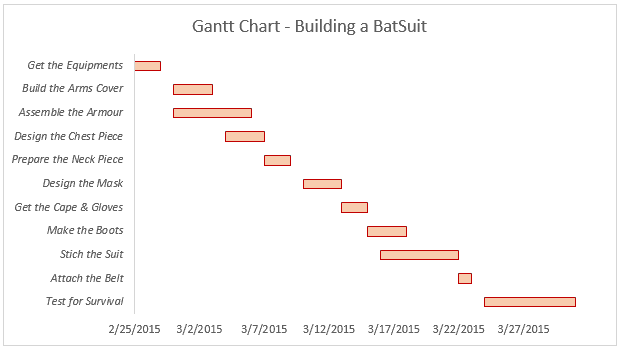 I was looking for guidance to create Gantt Chart – your post makes it quite simple to understand and the Batman Suit example made it very interesting as well 🙂 I would definitely implement it in my work!